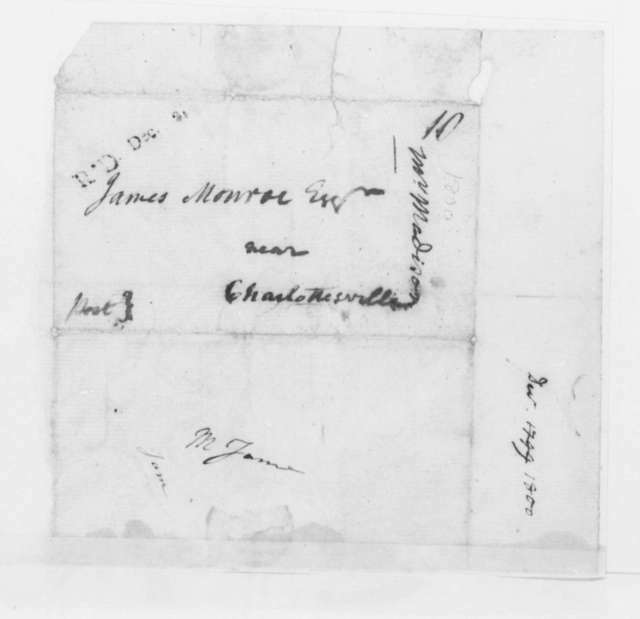 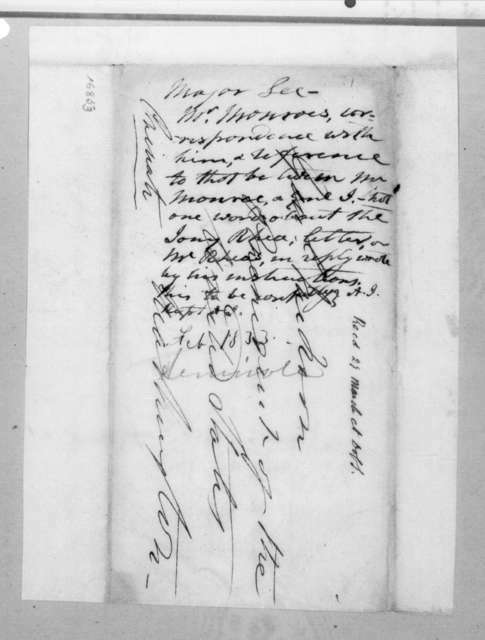 James Monroe to William H. Crawford, July 16, 1813. 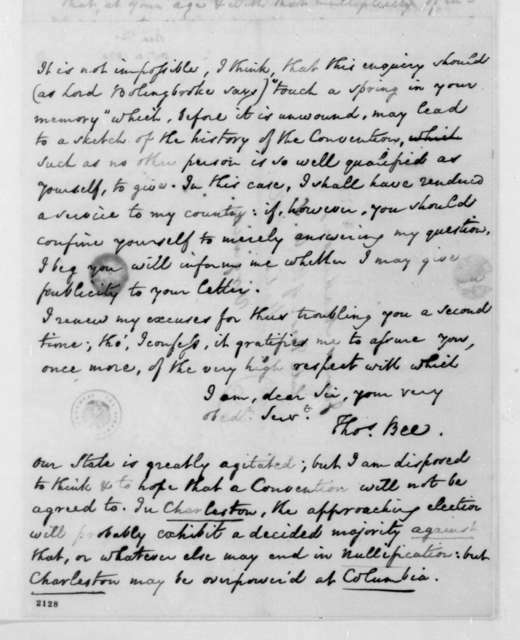 James Monroe to James Madison, September 3, 1823. 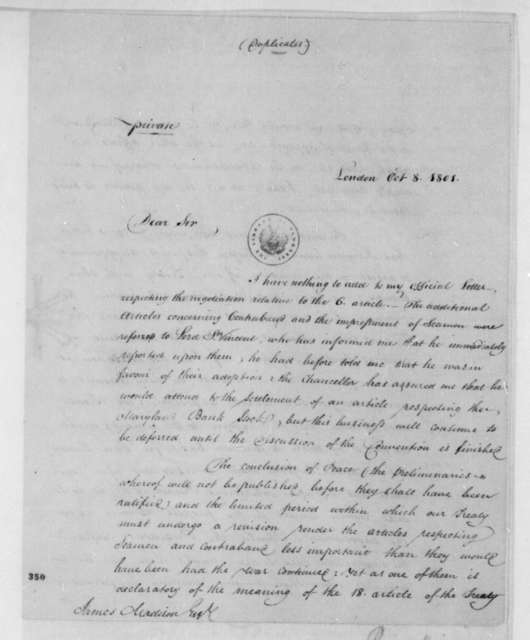 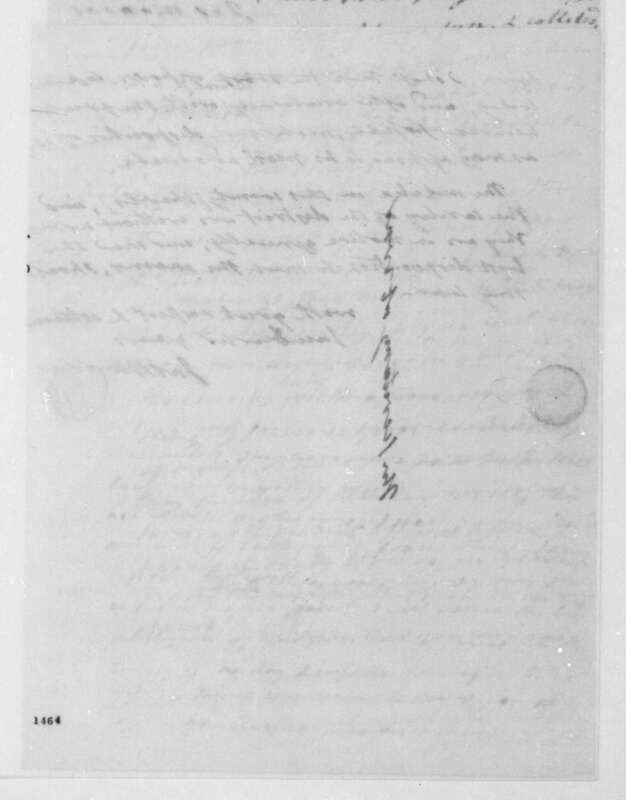 James Monroe to James Madison, September 17, 1803. 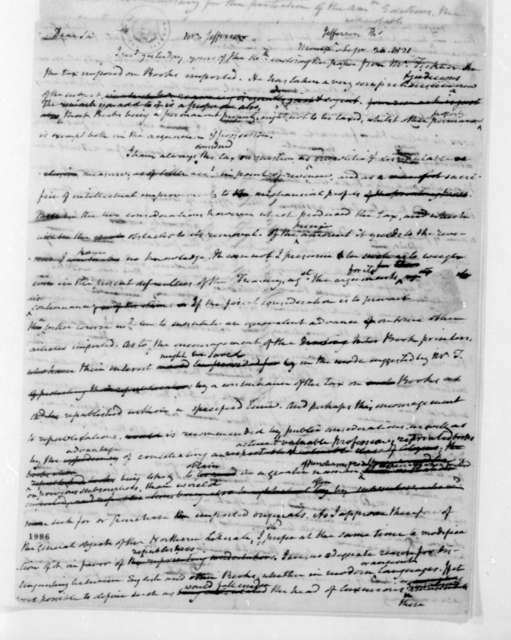 James Madison to James Monroe, December 2, 1799. 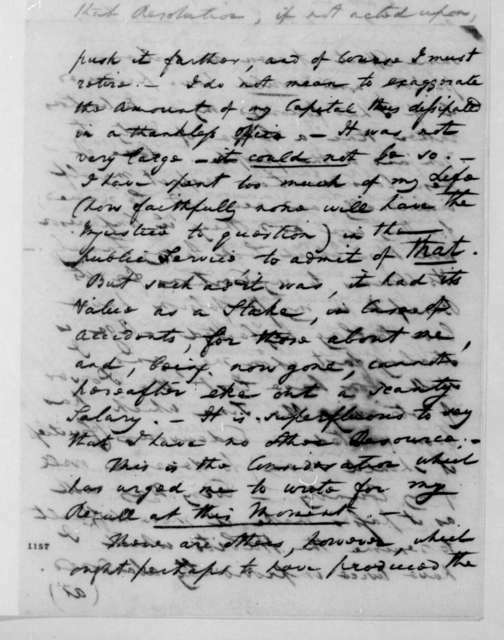 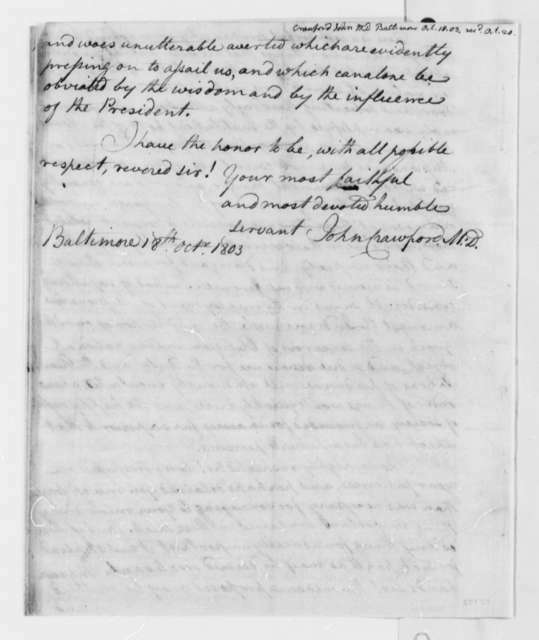 James Monroe to James Madison, June 24, 1798. 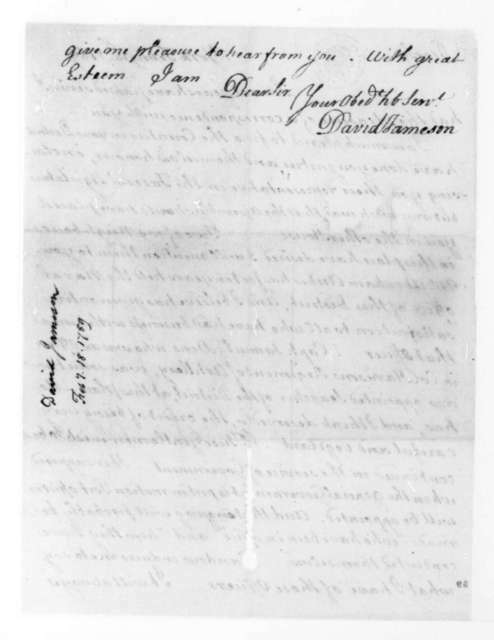 David Jameson to James Madison, February 18, 1789. 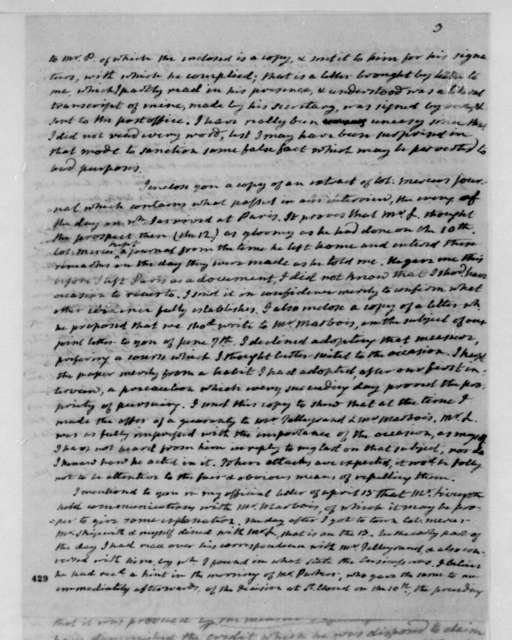 James Madison to Thomas Jefferson, September 20, 1821. 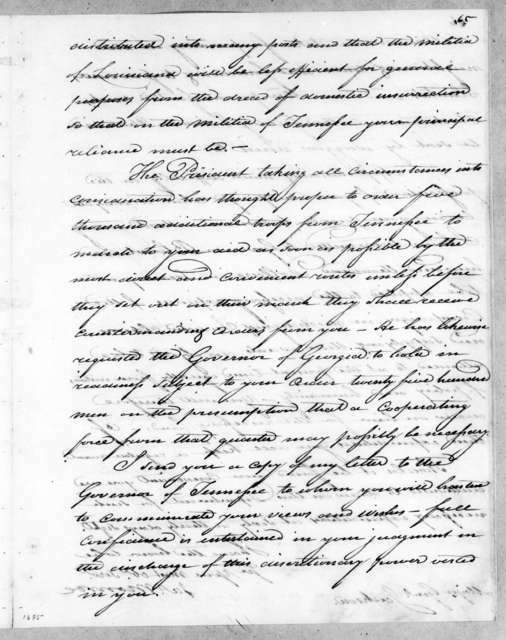 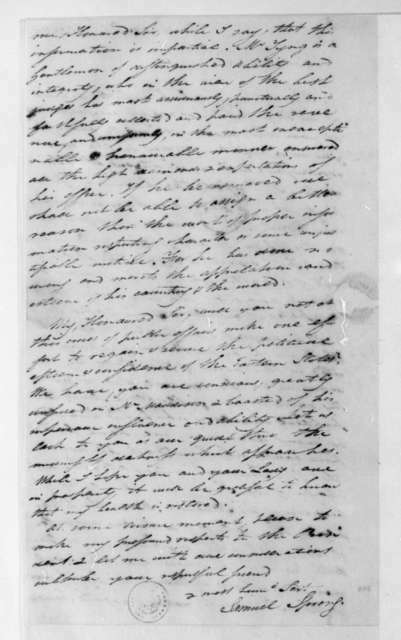 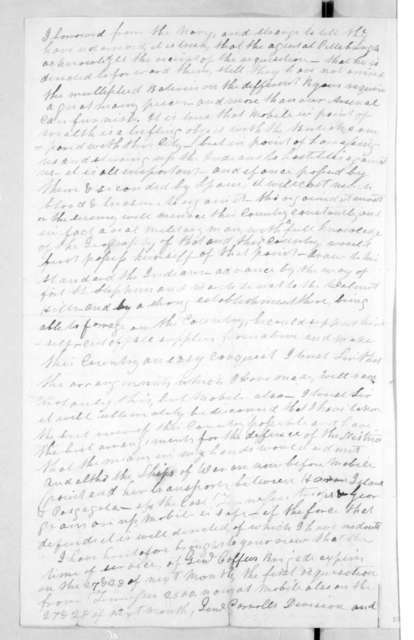 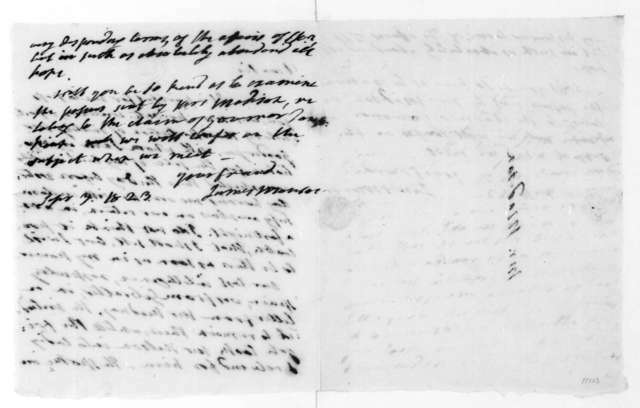 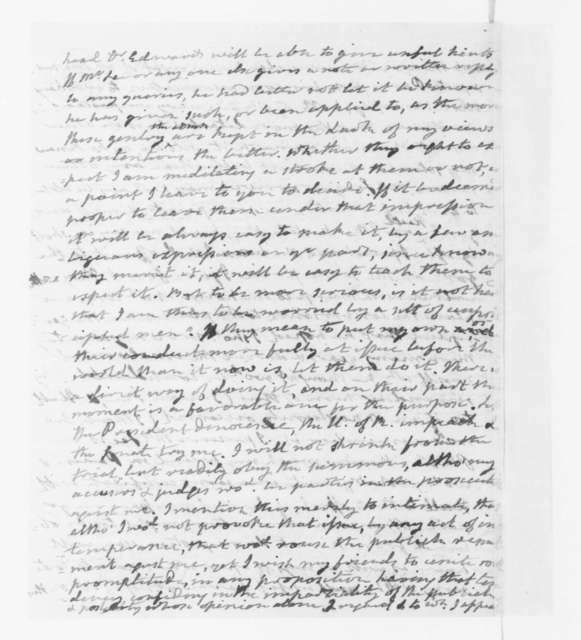 George Joy to James Madison, June 9, 1811. 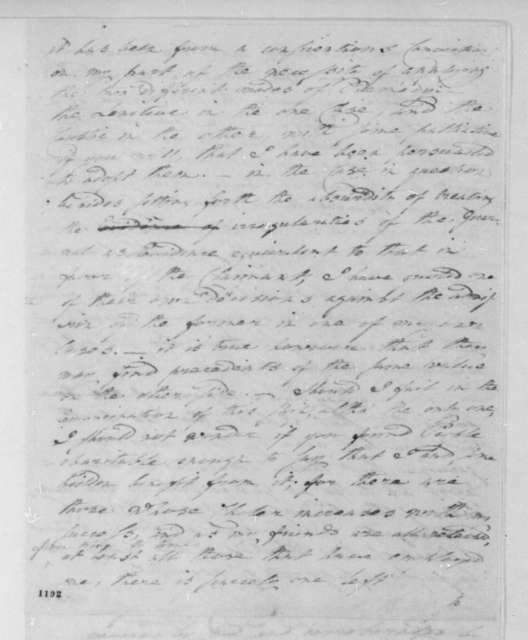 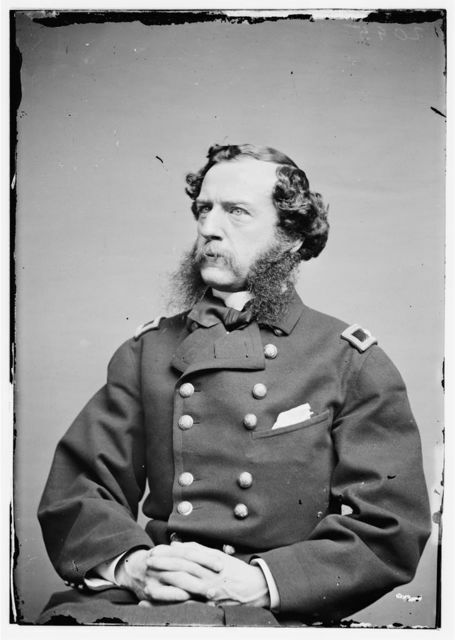 Rufus King to James Madison, October 8, 1801. 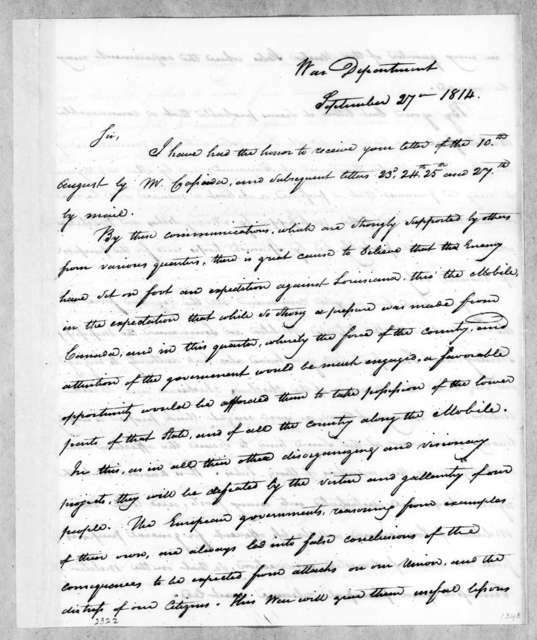 Samuel Spring to James Madison, October 20, 1801. 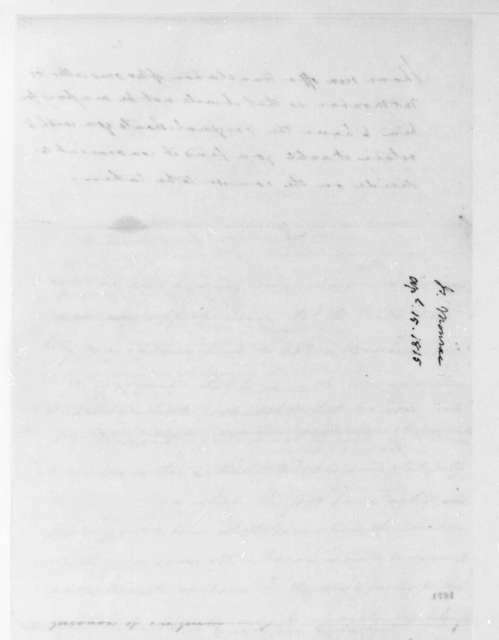 Thomas Bee to James Madison, October 4, 1830. 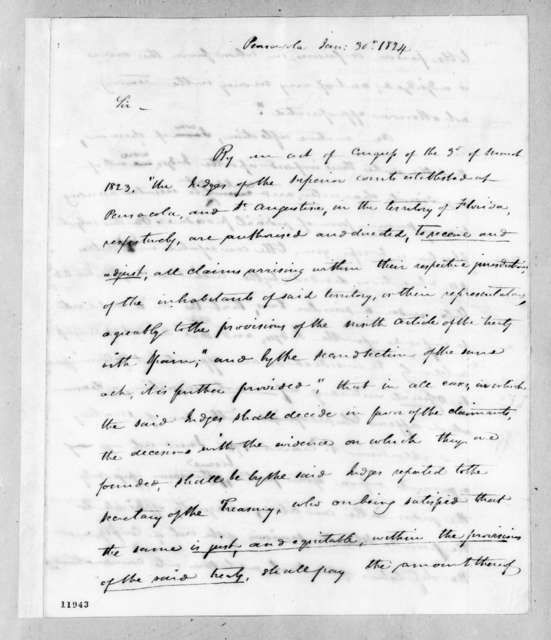 John Graham to James Madison, April 15, 1815.